From space research to the arts and humanities, faculty members across all disciplines were recognized for being academic leaders in their fields and conducting work that has a significant impact on the world. 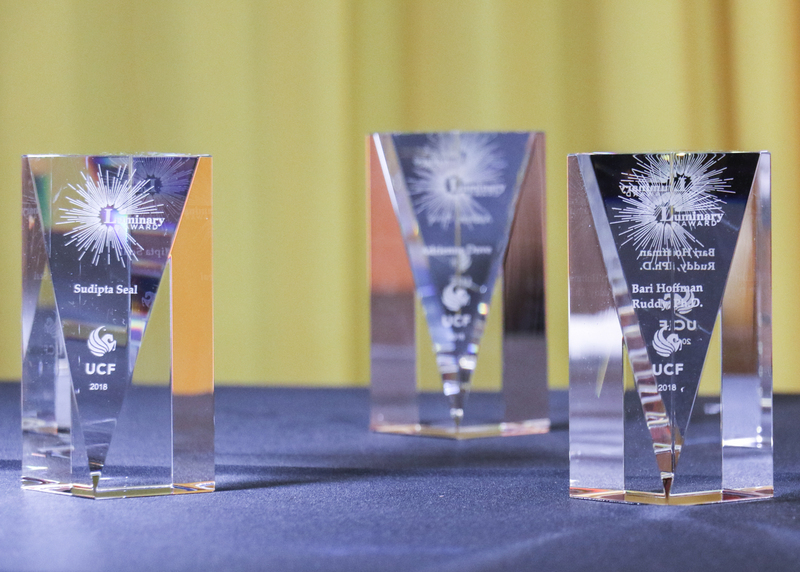 Families, friends and colleagues celebrated 11 University of Central Florida faculty members Wednesday during the second annual Luminary Awards Night. The event, cosponsored by the Office of Research and Faculty Excellence, recognizes faculty members across all disciplines for being academic leaders in their field and conducting work that has a significant impact on the world. Professor Sudipta Seal, College of Engineering and Computer Science. Seal is an award-winning professor who has been recognized several times by national organizations. His area of expertise is blending engineering, materials science and nanotechnology for applications in medicine, space and the environment. 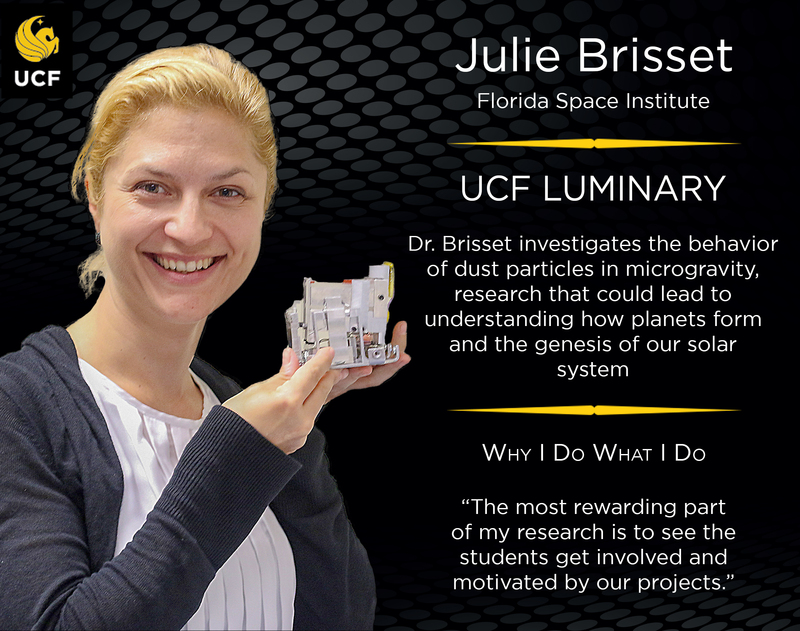 Recipients were nominated and a committee made the final selection based on several criteria including: alignment to UCF’s Collective Impact goals of doubling national/international recognition of faculty; notable accomplishments in research and/or creative activity over the past three years, with the impact demonstrated in many ways including news releases, national or international awards or fellowships, significant public involvement, social media hits, etc.